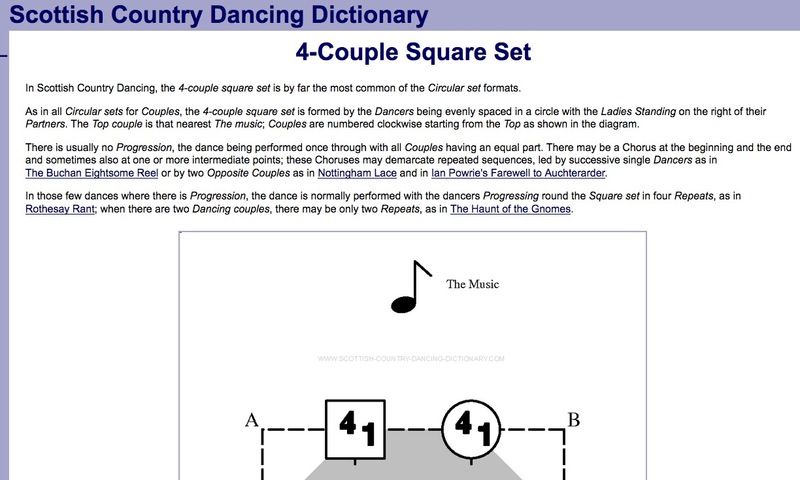 Most Scottish country dances are done as four-couple longways sets. There are, however, dances in square sets, and this Scottish Country Dancing Dictionary provides a brief overview of the formation. 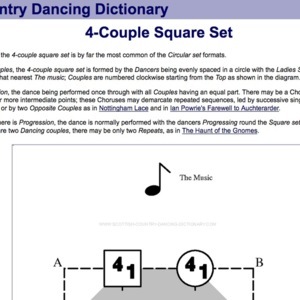 “Scottish Country Dance - 4 couple squares,” Square Dance History Project, accessed April 24, 2019, http://squaredancehistory.com/items/show/945.